The Watchdog understands that Ngambi was fired last Friday for failing to directly link former president Rupiah Banda to the purchase of four armoured luxury 4×4 Lexus motor vehicles. On October 17, Ngambi said he had written instruction from State house to procure the luxury vehicles from Germany. Ngambi said his ministry received instructions from State House to single-source the procurement of the vehicles. Ng’ambi said the ministry received instructions to seek permission from the Zambia Public Procurement Authority to allow it to buy and make the vehicles bullet-proof in line with the specifications that came in writing from State House. Ng’ambi said State House generated the quotation from one company in Germany and delivered it to the ministry to facilitate the purchase of the vehicles. “You know that we cannot buy anything that State House does not want. We received instructions and a quotation from one company in Germany to buy the four vehicles,” Ng’ambi said. But as investigation progressed, it seemed Ngambi could not state clearly that the instructions were given by former president Rupiah Banda. Banda has already responded to the allegations saying that he was not a procurement officer. The failure to link Banda to the deal annoyed president Sata who instantly fired Ng’ambi. On the same Friday, police summoned former State House Chief of Staff Austin Sichinga in connection with the same matter. Sichinga who is now the permanent Secretary in the ministry of agriculture is expected to be grilled by the police anyday this week. “I am very disappointed with my predecessor, Mr. Rupiah Banda. There are two LEXUS vehicles here which he bought at K3.6 billion. They came in by air. Now how can you buy two cars at such a cost when retirees are not being paid? 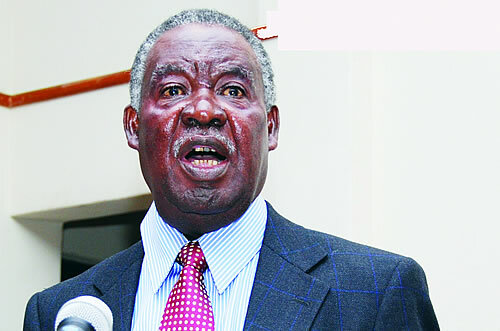 Why give millions of NAPSA funds to foreigners at the expense of the many Zambians who need medicines in hospitals?” said President Sata when he just revealed the matter.